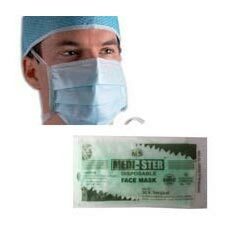 We are instrumental in manufacturing, supplying, and exporting Disposable Face Mask. Disposable Face Mask is fabricated to protect patient from airborne infective agents, which are originated from the respiratory tract of the health-care staff. Disposable Face Mask protects from skin irritation, pleated for full face coverage, Ultra sonic sealing & proper placement of folds, are the attributes of our Disposable Face Mask.